Being fifty-something, I’m weirdly attracted to those magazine articles that promise to add a few more years to life-as-I-know-it. I mean, you just never know what revolutionary font of youth you might discover. The squat (or at least the notion of the squat) has entered (and departed) my life on several previous occasions. None of them glow with happy, shiny memories. In 1990, pregnant with my second child (Wonder Boy), I was feeling brave and ready to try something different with this delivery. At my first visit with the obstetrician, right in the middle of the physical examination (because nervous chatter is the only way I know to survive a pelvic exam) I expressed my desire for an unusual delivery plan. “I’d like to deliver in the squatting position … like African women do,” I offered up. Mr Smith (his name was Garnet Smith but like all top medical specialists of the day, he had dropped the Dr for Mr) took his eye off the business end of the examination, turned his head and looked me in the eye, peering over the top of his glasses. And with that slap, my dream of a “special” delivery dissolved and I resigned myself to a traditional Western experience. I guess it was worth a try. Don’t judge me … it was the nineties. In 2007, during an airport touchdown in Dubai I found myself in a line of multicultural ladies, all waiting to use the loo. I was delighted when a woman emerged from a nearby cubicle, chose me from the line and waved me through (with a friendly smile) to the loo she was vacating. What a kind local, I thought to myself, and thanked her for her hospitality. But when I stepped inside the cubicle, I was horrified – and confronted with a hole in the floor and a footprint painted on either side. This was not a Western toilet. I know. This was my chance to shine. But a haunting flashback to Mr Smith’s medical rooms had me doubting my squatting ability. I imagined myself falling face first into that watery hole. I high-tailed it out of there, to the back of the line … and to the soundtrack of giggling ladies who had obviously set me up. In 2010, I was again confronted by the squat. I had ventured back into the gym, having bartered my copywriting services for a personal training program. One look at my thunder thighs and my-new-best-friend-the-trainer prescribed a program almost entirely based on squats or lunges. Swiss ball squats, Bosun ball squats in the park, squats on boxes, squats beneath the smith machine and free squats with a barbell and weights (as if my body weight wasn’t enough weight). Over a period of several months, my body grew strong, my muscles toughened up and I was making progress. Yes, I had mastered the squat. Twenty years too late to experience African-style childbirth. Three years too late to save myself humiliation in a foreign airport. Of course, my gym attendance has since fallen by the wayside (as it does) and so has my fitness. The squat “window” was fleeting. Chances of me regaining that fitness in the next little fifty-something while? Diddly-squat. I have reached and gone beyond my squat “peak”. Mr Smith was right. Then and now. I’m just not built for it. 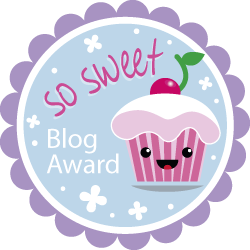 Loved the post ..and if it’s any consolation I think my ‘squatting days are over also’. I’ve never been to Asia, other than for an airport touchdown. My son tells me I’m not built for Asian countries … I’m not good with humidity and I’m allergic to seafood. Throw in my aversion to squatting and it seems Wonder Boy is spot-on. Ha Ha!! 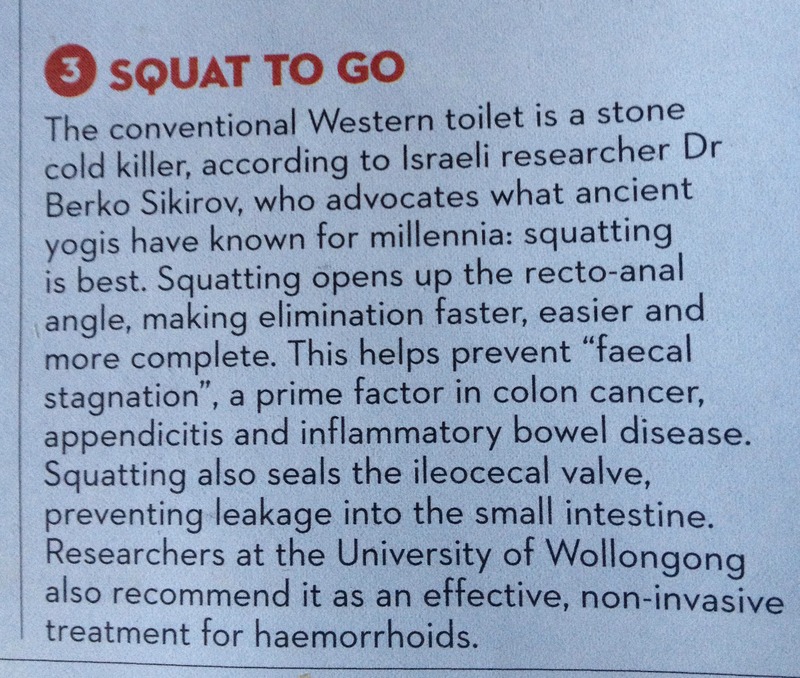 I too read the article on line and did spend some time pondering how I could make the squat part of my toiletting routine and then quickly saw sense and realised that I too, am not built for squatting….. and that perhaps one of the other 29 ways may be more achievable for me. Plus I have a faint memory of trying to squat for a wee on a long ago family bush outing…. and having to come home in the car knickerless ( with all my sisters tittering and sniggering from the back seat). I loathe squat toilets, and they are EVERYWHERE outside the US, it seems. France and China have the worse toilets away from big cities. The ones in China are generally filthy, and very smelly too. Shudder . . .
My little grandsons perch on the toilet seat. We all think it’s strange, but I guess they’re on to something.